Some of the main State investors of the People’s Republic of China are negotiating to buy partial or total shares of private Italian companies that work in the international Free Port of Trieste, and which have received or are about to receive from the Port Authority public concessions lasting 30 to 90 years over all main free port areas. 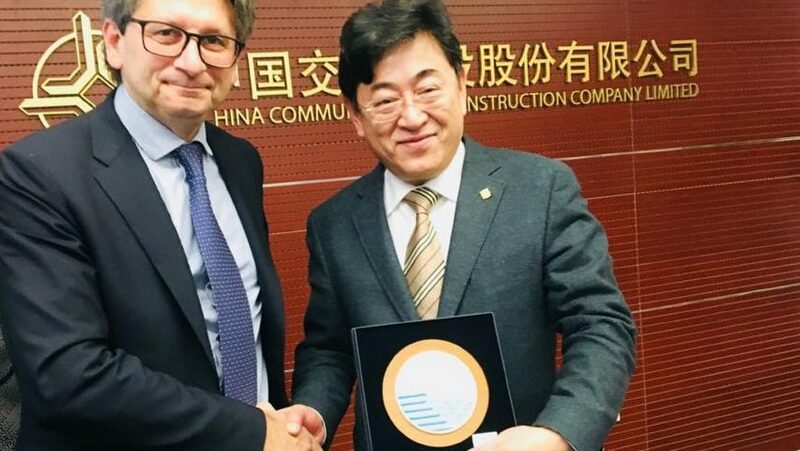 Furthermore, Chinese investors are willing to buy, directly or indirectly, areas of the Northern Free Port from the Municipality of Trieste, which does itself discuss with the Port Authority future concessions. 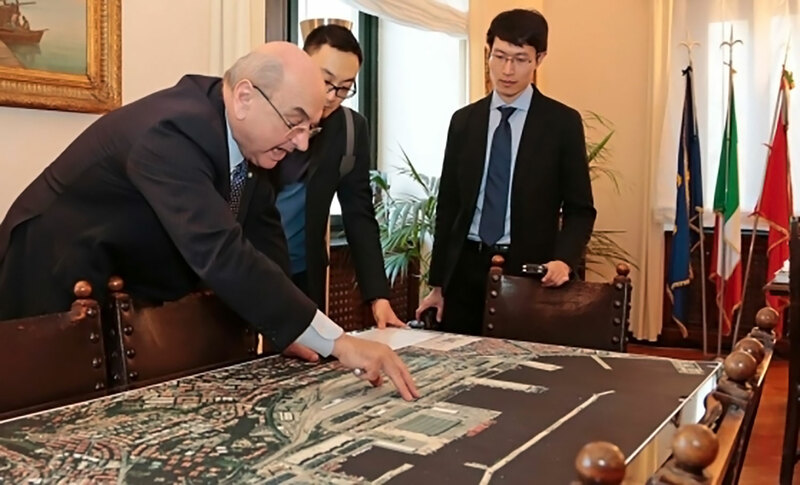 China’s State investments in Trieste had been announced in August by the Italian Government’s Undersecretary for the economic development Michele Geraci, and are now openly supported also by the President of the Port Authority, Zeno D’Agostino, and by the mayor of Trieste, Roberto Dipiazza. Completing such investments, supported by local authorities and by the Italian Government, China would obtain nearly complete control of the international Free Port of Trieste and of its special advantages, and would make it the main bridgehead for economic and strategic penetration in Europe, bypassing all Western political defenses without apparent obstacles. Local economic partners are accelerating the main transactions, in an attempt to conclude the operations between December 2018 and January 2019, while mayor Dipiazza brags about it and the President of the Port Authority, D’Agostino, makes publics statements in favor of China and expresses hostility against the United States. Because all of them are hiding to the Chinese investors an insuperable problem that prevents their operations. The problem is, such operations would be legitimate under Italian law in any Italian port, however, they are forbidden under the legal status of the international Free Port of Trieste, which does not belong to Italy or to the European Union, and is sub-entrusted to the temporary civil administration of the Italian Government by the Governments of the United States and of the United Kingdom as primary administering Governments on behalf of the U.N. Security Council. Indeed, the legal status of the international Free Port of Trieste opens it to the goods of all countries without discrimination; therefore, it forbids the establishment of port areas under the exclusive control of any State. The Port of Trieste has an extraordinary strategic importance for trades between Suez, the Mediterranean area, and Central-Eastern Europe, as well as through the new Arctic route, for two reasons: it is in the most northern point of the Adriatic, with seabed 18 to 20 meters deep, and its legal status of international Free Port is unique in the world. For instance, in the international Free Port of Trieste it is possible loading, discharging, storing, and manufacturing goods from all States without paying taxes (except for the services received), without discrimination, without port areas under the exclusive control of single States, while the goods transported to and from Trieste enjoy freedom of transit through the other European States. The international Free Port of Trieste is envisioned in U.N. Security Council Resolution S/RES/16(1947), and is established as State corporation of the present-day Free Territory of Trieste under the multilateral Treaty of Peace signed at Paris by the the Allied and Associated Powers with Italy on 10 February 1947 and is in force since 15 September 1947. The Treaty of Peace establishes the Free Port of Trieste at art. 34 of its Annex VI – Permanent Statute of the Free Territory of Trieste, and provides its regulation at Annex VIII – Instrument for the Free Port of Trieste, both instruments entrust its management to a Director of the Free Port (art. 18) overseen by an International Commission of the Free Port (art. 21). The Director of the Free Port cannot be a citizen of Italy or former Yugoslavia, and the States with the right to form the International Commission are: the Free Territory of Trieste, the United States of America, the United Kingdom of Great Britain and Northern Ireland, France, Russia, Ukraine and other successors of the USSR, Switzerland, Czechia, Slovakia, Austria, Hungary, Poland, Slovenia, Croatia and other successors of Yugoslavia, Italy. Furthermore, Switzerland, Czechia, Slovakia, Austria, and Hungary have the right to use Trieste as homeport for merchant ships and vessels flying their flags, and also to have their own naval registers in the Free Territory (Treaty of Peace, Annex VI, art. 33). The international Free Port owns its original areas (the Northern Free Port, also called “porto vecchio” and the Southern Free Port, also known as “porto nuovo”, the Punto Franco Scalo Legnami – Timber terminal, and the Punto Franco Oli Minerali – Oil terminal) while all other areas are properties of State (Demanio di Stato) of the Free Territory of Trieste (Maritime State Property division; Demanio Marittimo). The Free Territory of Trieste, which borders with Italy since 1947 and with Slovenia since 1992, is established since 15 September 1947 under the expected Provisional Regime of government provided by the Treaty of Peace at its Annex VII, which, at art 2, fourth paragraph, enforces all compatible provisions of the Permanent Statute (Annex VI). Annex VII – Instrument for the Provisional Regime of the Free Territory of Trieste provides a special variation of the U.N. trusteeship system, under the direct responsibility of the Security Council, and, at art. 1, entrusts the provisional administration of the present-day Free Territory to the Governments of the United States and of the United Kingdom. Since 1954, the two primary administering Governments have delegated the military defense of the present-day Free Territory of Trieste to NATO, and have sub-entrusted its temporary civil administration to the Italian Government, which exercises it to date (2018) under that very same title through bodies and officers of the Italian Republic. The Treaty of Peace with Italy of 10 February 1947 and the 1954 Memorandum of Understanding that sub-entrusts the mandate of temporary civil administration of the present-day Free Territory of Trieste to the Italian Government are in force under both international law (U.S. Department of State – Treaties in force on 1st January 2018) and Italian domestic legislation (LINK). The special trusteeship mandate sub-entrusted the Italian Government bounds it to maintain the international Free Port of Trieste in general accordance with articles 1 to 20 of Annex VIII of the Treaty of Peace, which provide the competencies of the administering Government, while the remaining articles 21 to 24 revolve on international initiatives. Therefore, the appointment of the Director of the Free Port (art. 18) is a legal obligation of the Italian Government, while the summoning of the International Commission exists as a right of all of its member States, but can be requested by any Country interested to use the international Free Port of Trieste under conditions of equal opportunities and treatment. First the Cold War, then the crisis of Yugoslavia prevented for decades the development of the strategic function of the Free Territory of Trieste and of its international Free Port, but that is now possible because of the new Euro-Atlantic strategic balances, and necessary to the economic, and therefore political stabilization of Central-Eastern Europe. In particular, the Free Territory of Trieste and its international Free Port have become strategic to consolidate the political-economic ties of the Three Seas Initiative that have already been established between Austria, Hungary, Croatia, Slovenia, Czechia, Slovakia, Romania, Bulgaria, Poland, Estonia, Latvia, and Lithuania (LINK). However, the balanced development of the strategic role of the international Free Port of Trieste is prevented by ambiguities and non-compliances of the Italian provisional sub-administration, which are threatening all interested enterprises and investors, including China’s (LINK). The main obstacle depends on the fact that the sub-administering Italian Government has not entrusted the international Free Port of Trieste to the legitimate Director of the Free Port yet and, instead, has illegally subject it to an Italian Port Authority that manages it as if it were one of the ports of the Italian State. Even, the illegitimate Italian Port Authority takes advantage of this simulation to prevent the international use of the Free Port, tendering its areas to certain Italian enterprises with long-term (up to 99 years) concessions awarded under Italian law, and also to allow a massive, illegal speculation at the expenses of the areas of the Northern Free Port. This illegal speculation against the Northern Free Port is organized by a local system of corruption which, for this purpose, in 2015 has substituted the previous President of the Port Authority, Ms. Monassi, who was against it, with the current President, Zeno D’Agostino, who supports it as well (the sale of those port areas is currently prevented by the International Provisional Representative of the Free Territory of Trieste – I.P.R. F.T.T. with a legal action, LINK). This state of illegality in the Italian management of the international Free Port of Trieste gives rise to unacceptable risks for both enterprises and investors, but also for Euro-Atlantic strategic balances. The illegitimate management of the international Free Port of Trieste by the sub-administering Italian Government denies to enterprises and investors legal certainty, forcing them to accept hidden, severe risks. Concessions and other contracts regarding the international Free Port of Trieste in breach of its own international legal system are indeed null and void by law, and their legal value can be questioned before Court at any time and by any interested subject. In order to remediate the nullity and voidness of existing concessions and contracts, it is necessary adjusting them to the real legal status of the international Free Port of Trieste with new legal acts of the legitimate authority, who is the Director of the Free Port, and this is impossible as long as the administering Italian Government does not appoint it. This means that, until that moment, the quotas of the companies holding the concessions or other illegitimate contracts don’t have the value they seem to have, and purchasing them is itself a total hazard. The negotiations to sell to China’s State investors partial or total quotas of the same companies should therefore come to nothing, or to more careful and limited partnerships. Furthermore, the bodies of the Italian administration that tried to hide to investors and enterprises the legal status of the international Free Port of Trieste could be summoned before Court to compensate the consequent damages. However, those negotiations with China show that the unlawfulness of the Italian management of the international Free Port has also given rise to a state of strategic danger for the whole NATO area. The illegitimate application of Italian port legislation does indeed make it possible for any State to illegally gain control of the international Free Port of the Free Territory of Trieste by just buying quotas or shares of the concession-holding companies, and ultimately turn it into their own base of strategic penetration in Europe violating the rights of all other States. The ceasing of both situations of risk, financial and strategic, has become a shared and urgent interest of the enterprises and of the States concerned. However, obtaining it requires the sub-administering Italian Government’s appointment of the legitimate Director of the international Free Port of Trieste instead of the illegitimate Italian Port Authority, and also that one or more States summons the International Commission established at arts. 21, 22, and 23 of Annex VIII of the Italian Peace Treaty. At the same time, all bodies in charge of the Italian provisional administration of the Free Territory of Trieste have the duty to provide correct and complete information about the legal status of its international Free Port to both investors and enterprises.